CD rates from banks have more or less been uneventful these days. They have held steady with the highest 1 year CD from CIT bank and Doral Bank at 1.15% APY. It is surprising then to find a higher CD rate than this from a bank and not from a credit union. But indeed it is so as Alma Bank offers 1.35% APY on their 1 year CD. Minimum balance required to open an account is only $2,500. It’s interesting to note that Alma Bank is offering a higher CD rate than banks that are advertised in CD leader boards. Aside from their 1 year CD, the 5 year CD from Alma Bank is also higher than Intervest National Bank’s 1.95% APY rate which is reported to be the highest nationally available. The same also goes for their 3 month CD, where the highest available is reported to be Virtual Bank at 0.60%. 1 month CDs are also rarely offered by banks since this is really a short term type of CD. For those who are looking for a temporary place to park their cash, that might be a good option to use. The other rates such as the 2 year and 3 year CD are competitive as well. 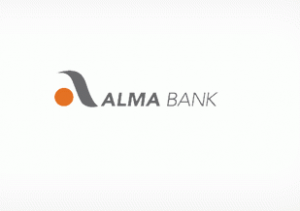 Alma Bank is a relatively new bank that opened its doors last October 15th 2007. Since then it has already mushroomed to have 9 branches in the New York State. Although there are many credit unions who offer better rates, those who prefer banks can get the best rates at Alma Bank. Despite being new, it is FDIC insured, insuring your deposits per account to a maximum of $250,000.